I saw this fantastic article last week about model Bethany Townsend who braved posting a photo of herself in a bikini online…but this wasn’t just any photo. This was the first time Bethany had braved posting a picture which revealed her colostomy bag. You see Bethany has struggled with Chrohns disease for some time, and had her colostomy bag placed 2 years ago. I loved this story, and I was so glad that it received the reaction it did. Since posting, the photo alone has had hundreds of thousands of likes on facebook and has sparked a brilliant new campaign to raise awareness about Crohns disease and Ulcerative Colitis. 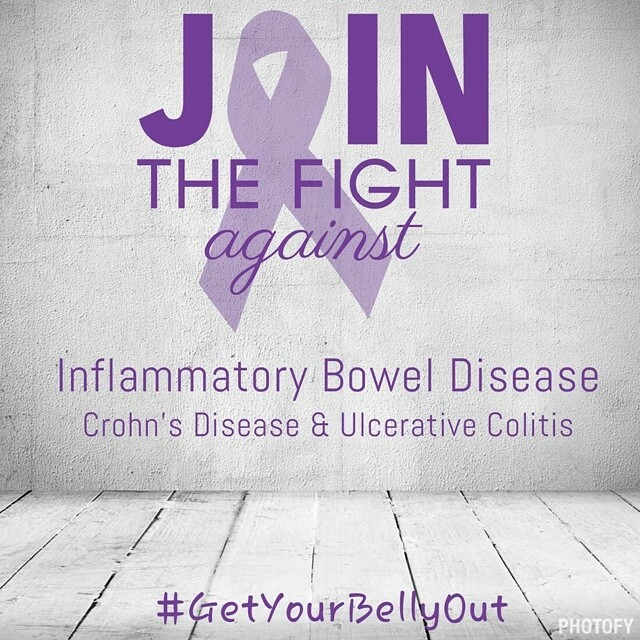 The #GetYourBellyOut campaign has since inspired over a thousand posts on instagram and probably just as many on other forms of social media of women and men who are ‘getting their bellies out’ to raise awareness for inflammatory bowel dsieases such as Chrohns and Ulcerative Colitis. The pics include ones like above with their colostomy bag on display, or pictures of surgical scars….but the pictures all have one common theme. A smile and a sense of confidence. I have a dear friend who has been through a very similar journey to all of these brave people, and I simply love the idea that this picture above may give sufferers of these disease a sense of confidence and more awareness and understanding to these chronic diseases. Put your support behind the campaign by liking the #GetYourBellyOut Facebook Page and posting your belly selfie! Check out all of the wonderful pics and post by searching the hashtag on instagram, twitter and facebook!